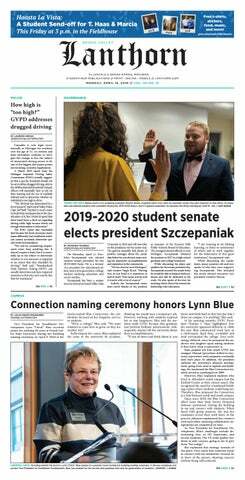 With a $358,000 operating budget and 48 different teams and clubs to support, the Grand Valley State University Office of Student Life has to make due with what it has. While the OSL, which is supports each of GVSU’s 48 different athletic club teams, ranging from the undefeated GVSU men’s lacrosse club to the Brazillian Jiu Jitsu club, is able to help each team cover a part of their overall budgets, it hardly garners enough to make a significant dent in the total costs. Therefore, those who choose to play cover the rest with dues, which can range anywhere from $10 to a few thousand dollars. This is the case with almost all university club sports programs, and Laker athletes competing at the club level are no different. Each team is allocated a certain amount of money from the Student Senate. The totals vary vastly – some teams receive no funding while others receive tens of thousands of dollars. For example, the GVSU rowing club is slated to receive $51,813 during the 2011-2012 school year. But for clubs like rowing, a little more than $50,000 does not come close to covering the total cost of a team of 94 rowers, some boats, rental of the GVSU Boathouse, travel to regattas and a handful of coaches. So teams have to fundraise through efforts such as the GVSU Rent-a-Rower program, or pay out-of-pocket. Teams that have limited travel schedules or low facilities costs do not have large operating budgets. However, for others like rowing – which has traveled down to Florida twice and Boston once already this academic year – and GVSU’s three hockey teams – which have to pay around $200 an hour for ice-time – costs accrue quickly. GVSU senior Ashley Rumsey, who has played four years on the Lakers women’s hockey team, estimates she has spent almost $9,000 to play hockey at GVSU, which does include a trip to Universiade in Turkey this year as a member of Team USA. Players like Rumsey usually take out loans or get help from hom, and look at the cost as just another expense of a college student. The annual cost for a hockey player at GVSU is around $1,500 per season, and sometimes students cannot afford to continue to play and go to school. For athletes, it becomes a matter of weighing costs and setting priorities. Some students cannot make payments and have to leave the game while others choose to give up the sport to focus on school or work. And in a world of tuition increases, 18-credit schedules and part-time jobs, student-athletes have to make the decision if the time, money and energy invested are worthwhile.